I took this picture at 5:30 this morning. 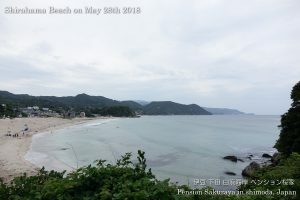 It had been rainy all day long today, and it’s a little cold now at 10:30 PM. 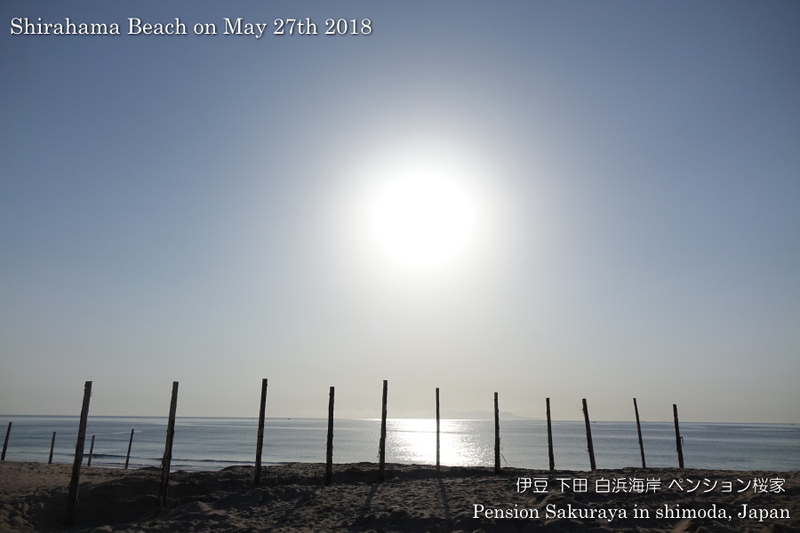 This entry was posted in nature, Pension Sakuraya on 2018年5月31日 by izusakuraya. It’s now 8:45 PM and it’s raining outside. 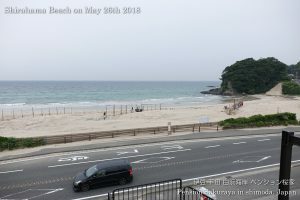 Today it had been cloudy and we sometimes had rain here in Shirahama. There are some hydrangea trees in our garden, and they started to bloom much earlier than usual this year….. 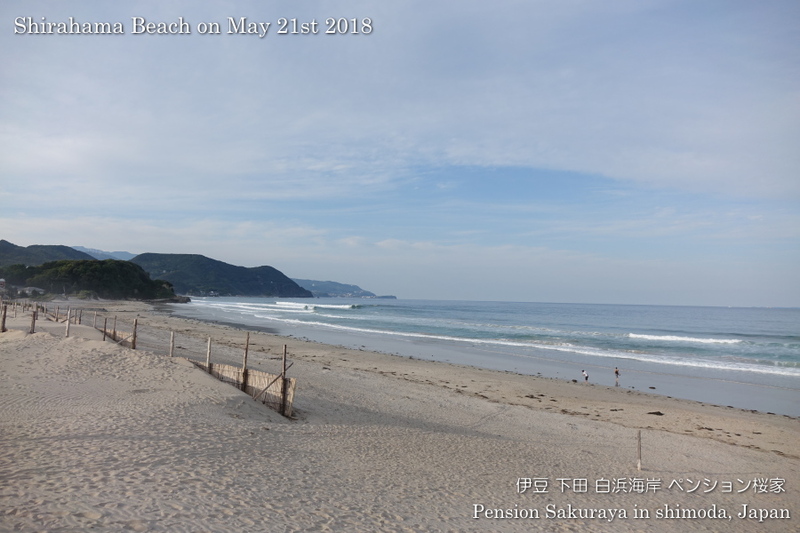 This entry was posted in Flower, Pension Sakuraya on 2018年5月30日 by izusakuraya. 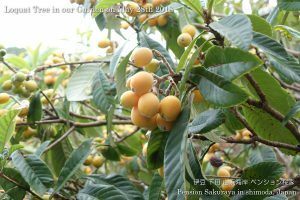 We have a loquat tree (Biwa in Japanese) in our garden and the harvest season has come. 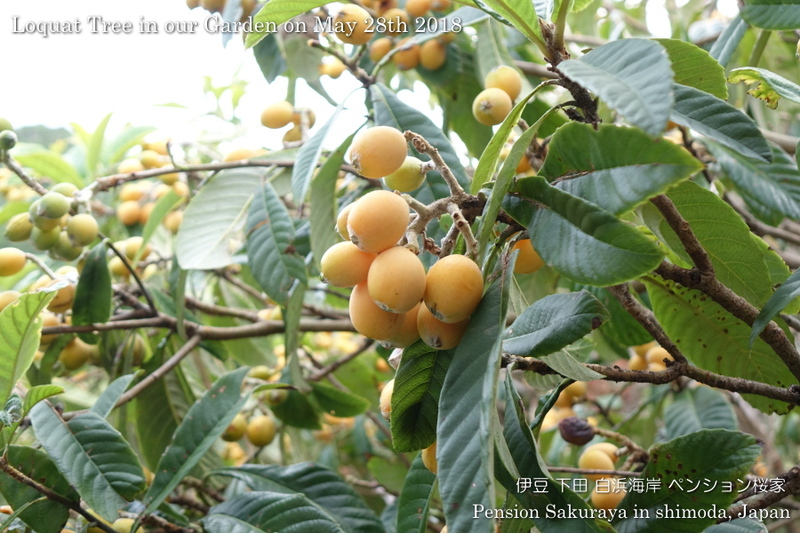 This loquat is a little smaller than the one we can see at supermarket, but it’s very sweet and juicy!! 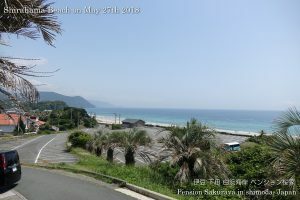 I walked on the seaside road after several days. 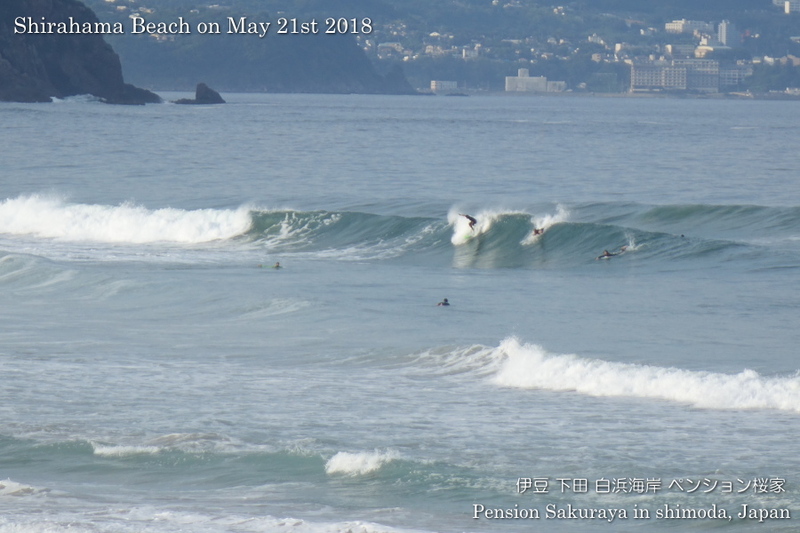 When I was walking looking over the sea there were some people taking video on the beach. This entry was posted in beach, Pension Sakuraya on 2018年5月28日 by izusakuraya. 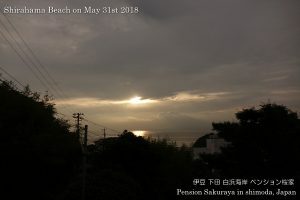 My son had to go to the train station this early morning because of practice match of junior high school basket ball teams. 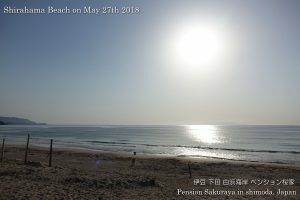 I took some pictures of sun and beach after I took him to the station. It was sunny and very hot here in Shirahama today. 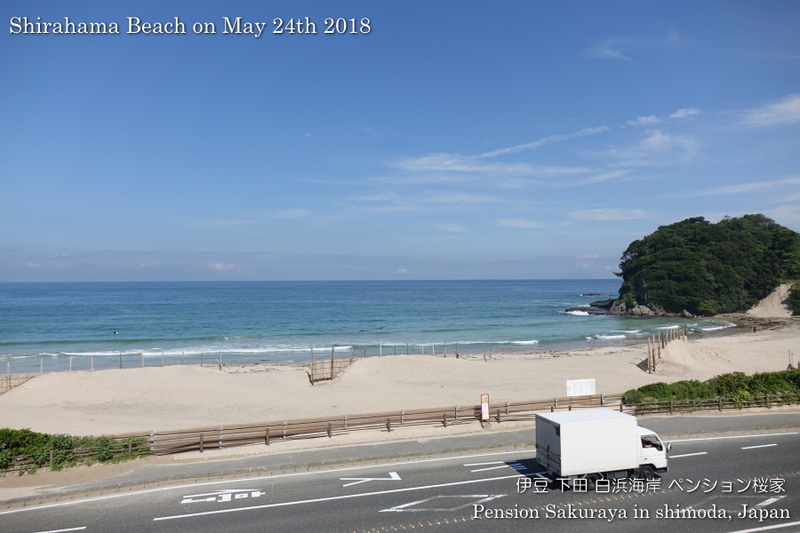 Some of our guests left their bags at Sakuraya and went to the beach after check out. 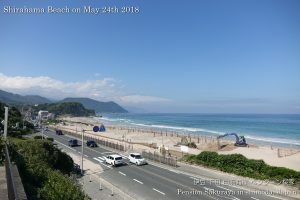 This entry was posted in beach, nature on 2018年5月27日 by izusakuraya. It had been cloudy all day long today. 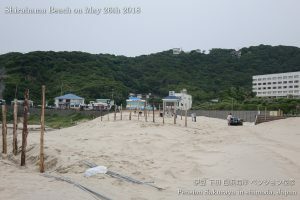 The local community in Shirahama had a removal work of fences on the beach this morning. 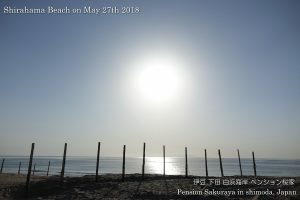 These fences had been protecting this beach from the strong north wind since last Autumn. 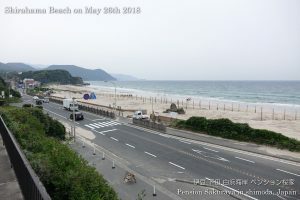 This entry was posted in beach on 2018年5月27日 by izusakuraya. 2018/05/26 Thank you for staying! They came from Holland and stayed at Sakuraya for 3 nights. He has come to Japan once before, but it was the first time for her to visit Japan. During their stay for 3 nights they went to the beach and walked in the town of Shimoda. 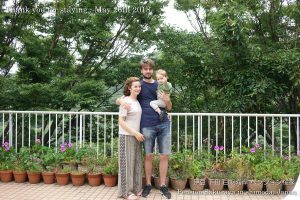 Their son is very cute and they are beautiful family! 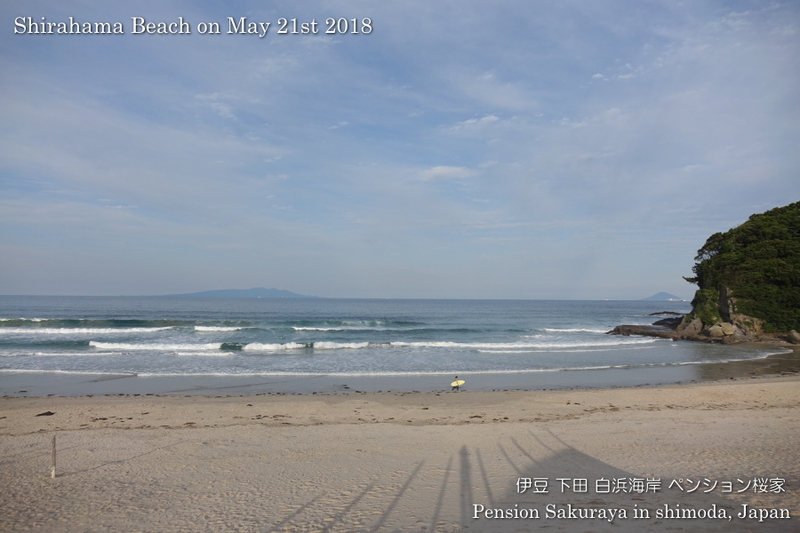 This entry was posted in Customers, Pension Sakuraya on 2018年5月26日 by izusakuraya. I walked on the seaside road this afternoon after several days. 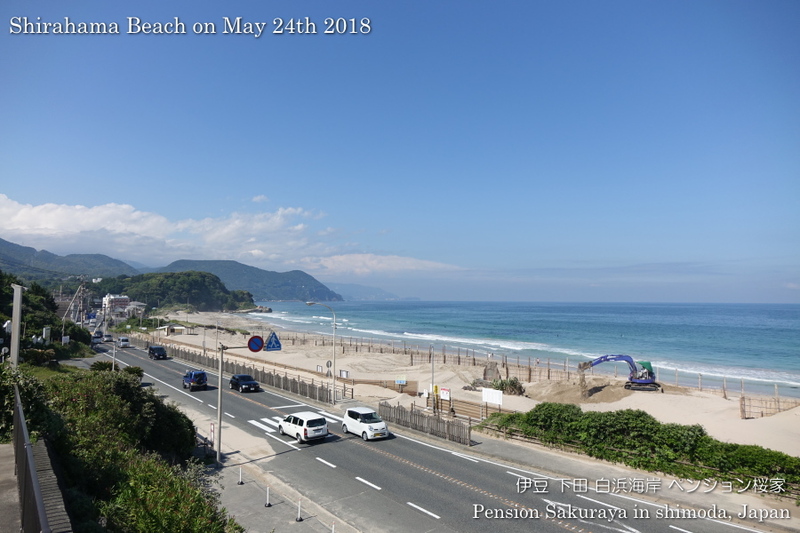 It was cloudy and cold this morning, but it became sunny and very hot after noon. 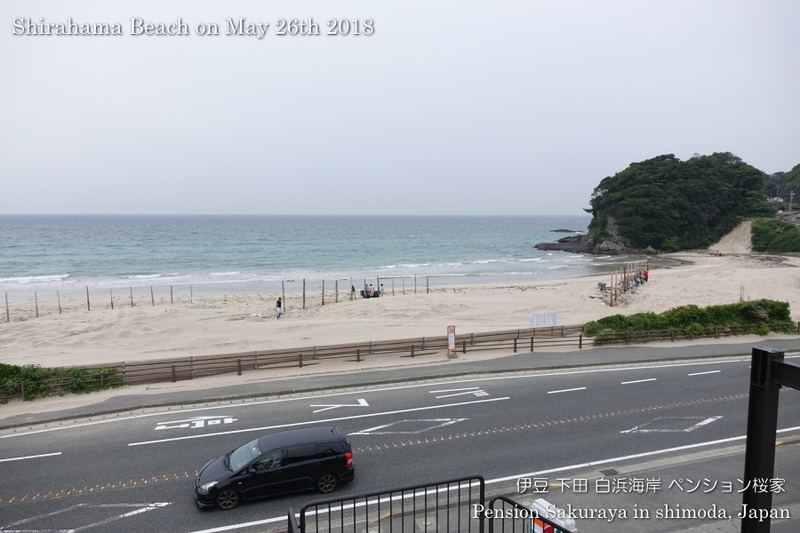 The local community in Shirahama will have a removal work of fences on the nearest beach Shirahama this weekend. 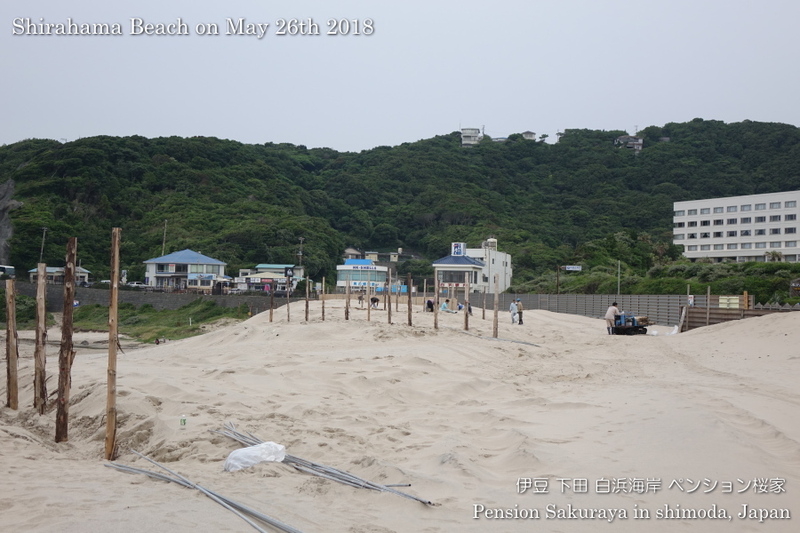 So they were removing sands around the fences to prepare for the work. 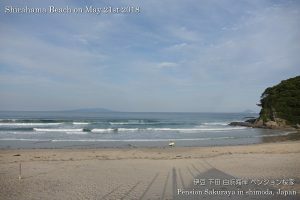 This entry was posted in beach, nature on 2018年5月24日 by izusakuraya. 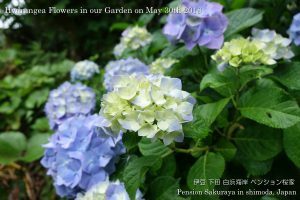 2018/05/23 Thank you for staying. 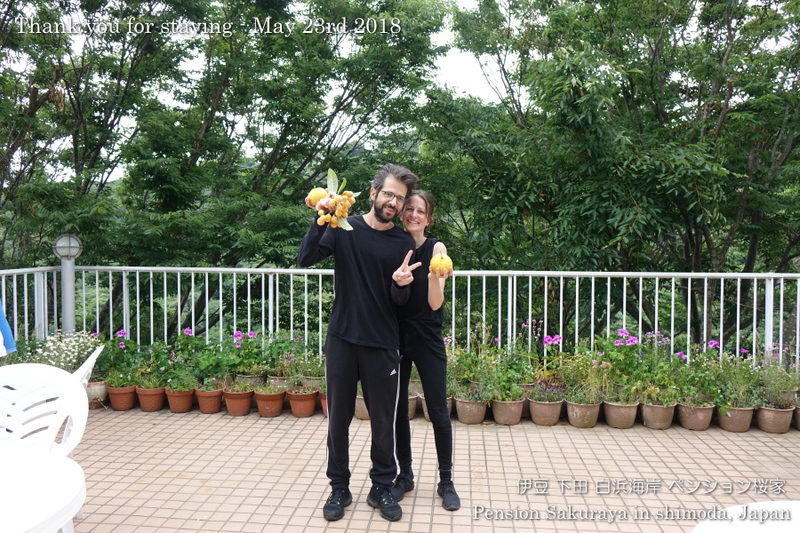 They came from Switzerland and are traveling in Japan for 2 months. 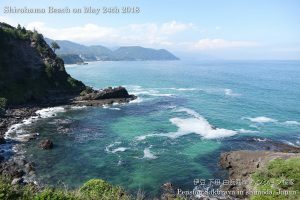 They went to Tokyo, Kyoto, Hiroshima, Sasebo and Beppu before coming to Shimoda. 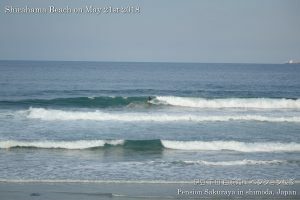 During their stay for 3 nights it had been sunny and they went to the nearest beach. 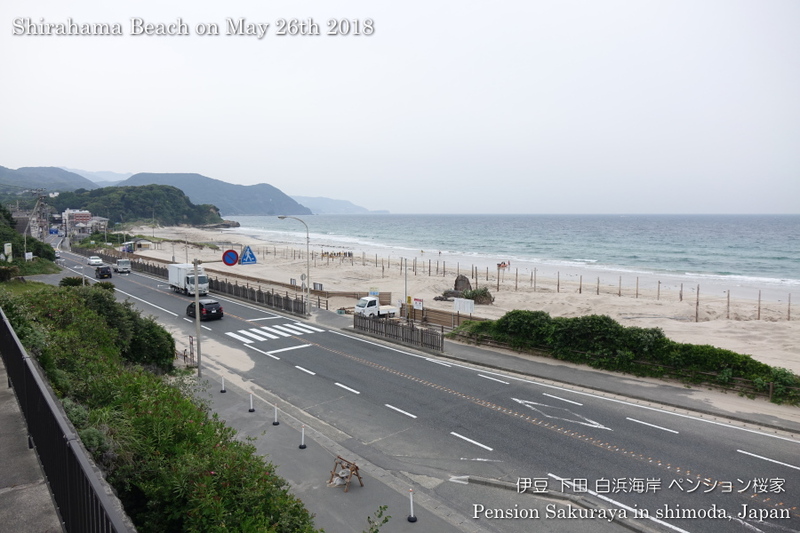 This entry was posted in Customers, Pension Sakuraya on 2018年5月23日 by izusakuraya. It’s now 9:30pm. 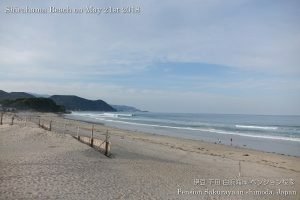 I still hear the sound of wave from the beach. 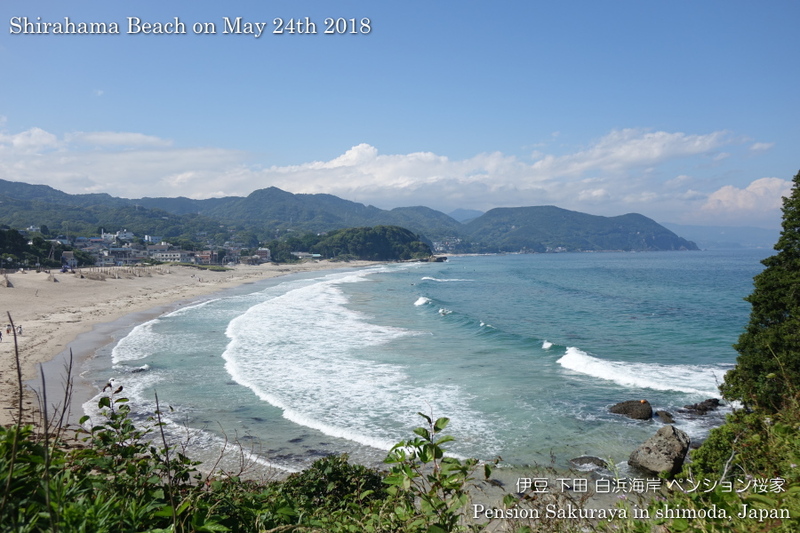 I walked to the nearest beach to take pictures this late afternoon. They had good waves to surf today. 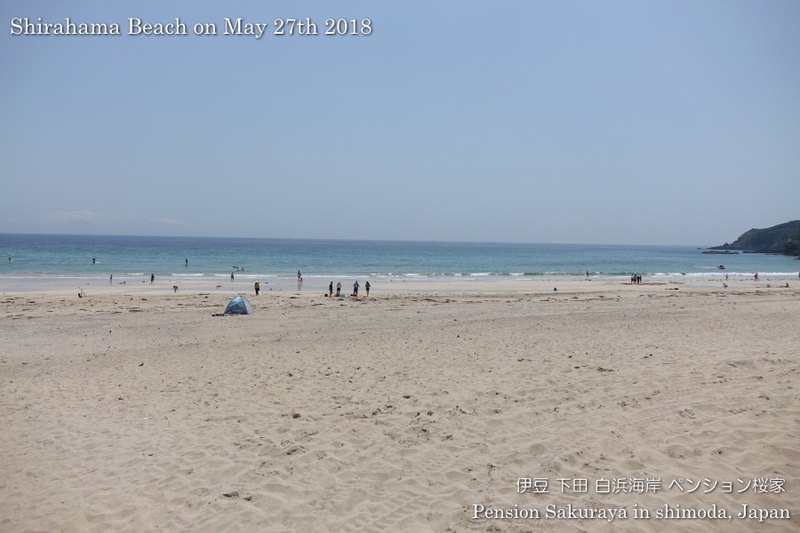 This entry was posted in beach on 2018年5月21日 by izusakuraya. 2018/05/21 Thank you for staying! They are from Canada, Austria and Kumamoto prefecture in Japan, and came to Shimoda for the 1st time. 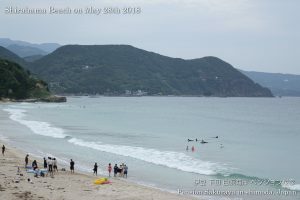 They went to Tatado beach in Shimoda on the 1st day, and went to Irozaki cape, Kumomi beach in Matsuzaki town and drove on the western side of Izu peninsula, I think. This entry was posted in Customers, Pension Sakuraya on 2018年5月21日 by izusakuraya.